Whether you’re a seasoned business person or just starting off in the entrepreneurial world, choosing a reputable contract furniture supplier is imperative. BI Contract, one of our divisions at Brands International, offers a complete service – from project planning to installation, along with after-sales assistance. 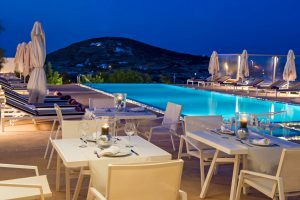 We provide attractive and hard-wearing outdoor furniture in Malta for the hospitality and food and beverage sector, as well as commercial and office areas. 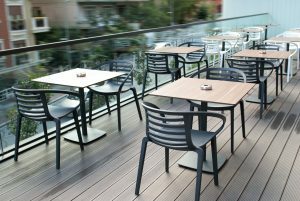 Read on to find out how we at Brands International can help embellish your outdoor business area by combining functionality and robustness without sacrificing personal style. Why should your business invest in contract furniture? 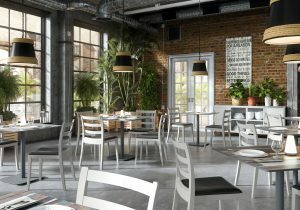 Furniture that is used in a busy catering or leisure establishment is inevitably prone to scratches and abrasions from frequent wear and tear. However, that does not mean that your furniture should look shabby and unkempt just after a few months. Consequently, it is important to choose furniture made specifically for the contract sector, that is designed and tested to be durable and to withstand heavy amounts of wear and tear. Moreover, it saves you time and money in the long run from having to frequently refurbish. It can also be tailored to suit a wide range of requirements and budgets. 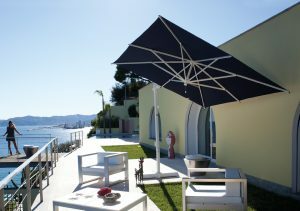 Our range at BI Contract includes a selection of goods such as accessories namely outdoor umbrellas, chairs, various seating furniture, tables and even lighting. We strive to network with partners who not only understand our vision, but that of potential clients too. This is why our BI Contract solutions are created in such a way that they can be customised and altered to fit specific needs. 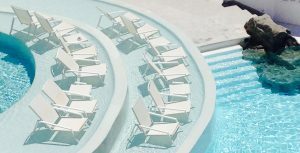 From beautiful 4-5 seater loungers to comfortable sunbeds and elegant seating, at BI Contract we offer a wide range of products which are not only tasteful and aesthetically pleasing, but can stand up to the hot Maltese weather. UV and waterproof treatments ensure that any materials are protected from sun damage, such as yellowing or fading. It goes without saying that contract furniture should be manufactured in a way that meets certain expectations, without any defects or shortcomings. That’s why we select brands which supply certified products. Raw materials and other components undergo a series of testing, including chemical, mechanical and physical analyses. Not only does this guarantee quality and sturdiness over time, but it also ensures that any wood and other finished materials are environmentally friendly. At Brands International, we supply products and offers services that few furniture stores in Malta can match up to in terms of quality and efficiency. If you would like to have a look at our collection of finished works and furnishings, you are welcome to view our portfolio. Feel free to visit us at our showroom in San Gwann or book an appointment online – we’d be more than happy to consult and guide you on the best furnishing options for your commercial establishment. Be sure to follow us on Facebook and Twitter for news and updates.